I so enjoy being reminded of the beauty of simplicity especially when it comes to photographing very small, special weddings. I was priviledged to be the photographer for a secret, outdoor wedding that was planned to emphasize the true meaning of a wedding...romance and commitment. 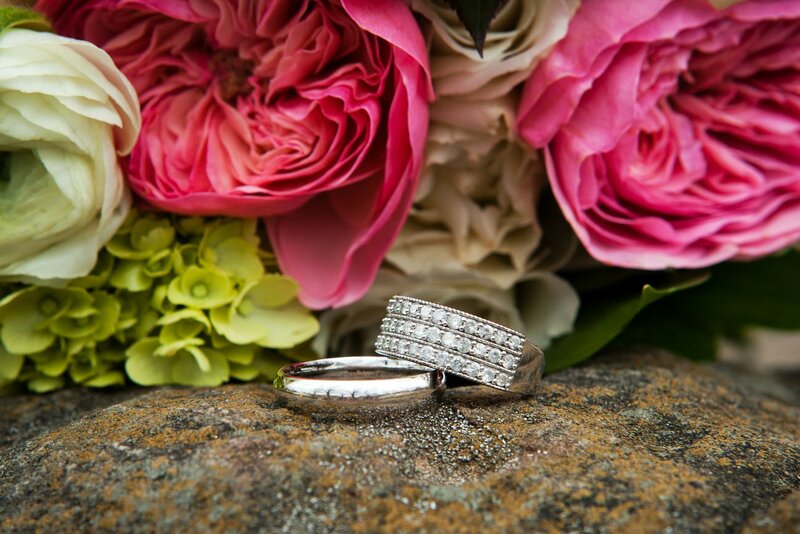 Even though the coupled planned their wedding on a budget, they did not forget about details like gorgeous flowers and amazing rings. 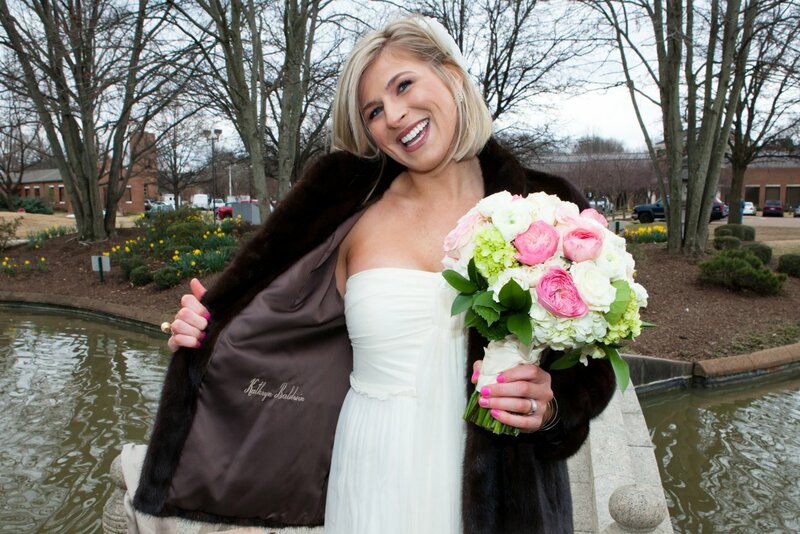 The bride incorporated a family item (something old) by wearing her grandmother's mink jacket over her wedding dress. 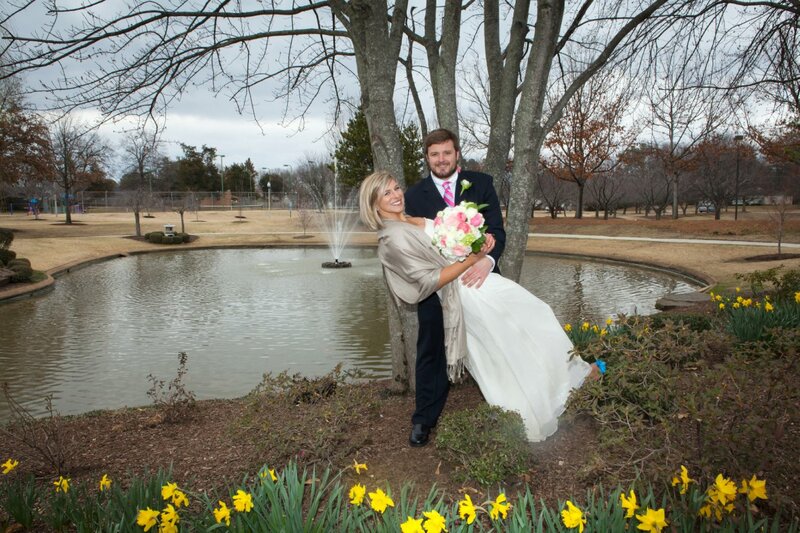 With the ceremony being outdoors on a very chilly February day, the jacket had not only sentimental value but was a warm welcome to have on hand. Another detail the couple included was making their first meeting special by exchanging love letters as they stood back to back. The romance was evident, and the surprise of seeing each other in their wedding attire was an added excitement! 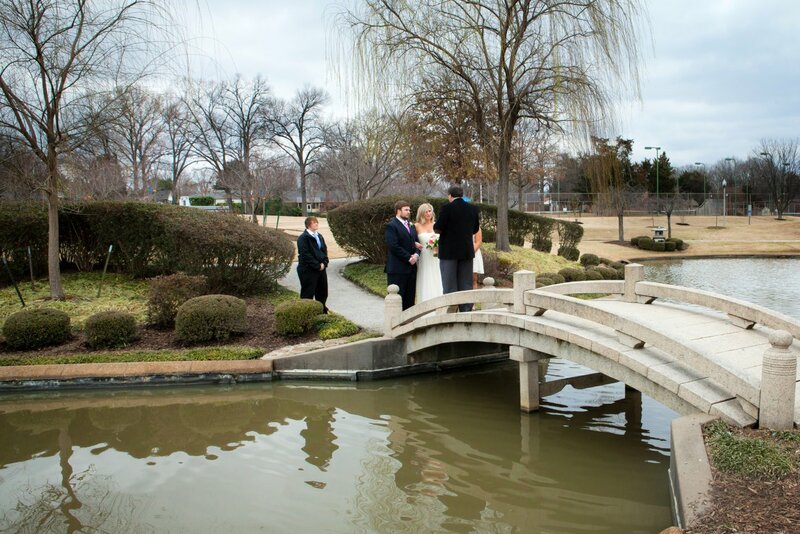 The ceremony was held at a local park during the week when few people were around. This added to the secrecy but also made the location quite ideal for privacy. Late winter skies, though heavy with clouds, add a wonderful mystery to this ceremony of love. Whether a couple plans a simple ceremony or a very large celebration, the bride and groom will always acchieve their unique event by focusing on each other and the singularity of love on their big day!